I was co-president of the Christian Union at Leeds University in 1998-99. 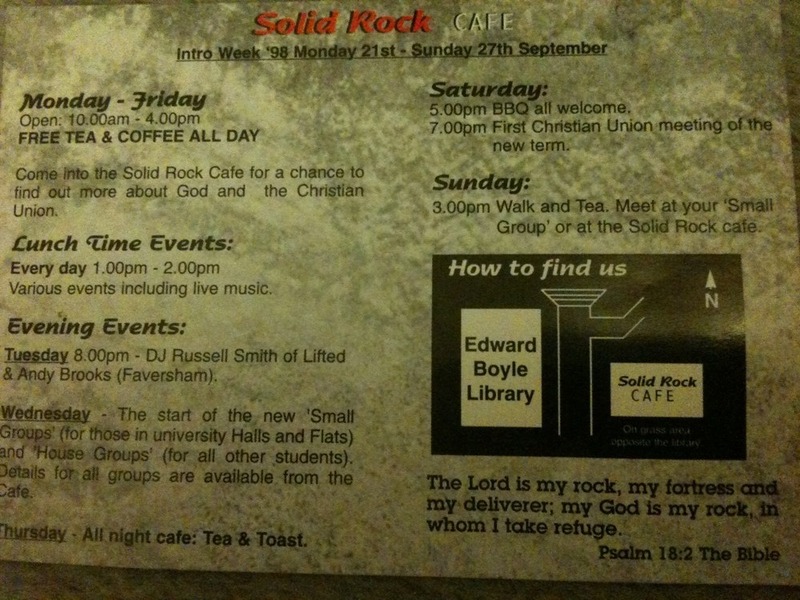 In Freshers’ week every year the CU does a welcome cafe. 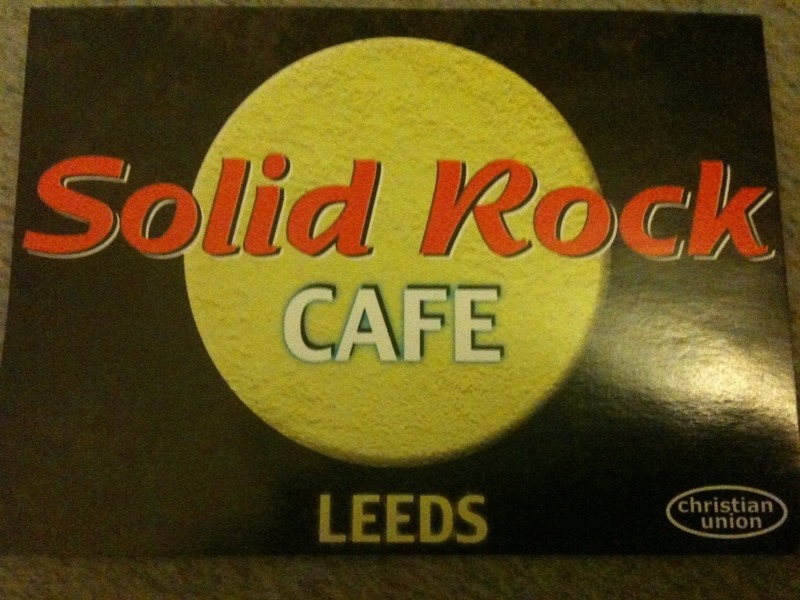 In 1998 we thought we were very cool calling it the Solid Rock Cafe!